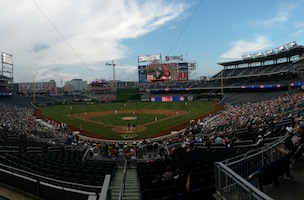 For the sixth year in a row, the Democrats took home the trophy at Roll Call’s 53rd Congressional Baseball Game. 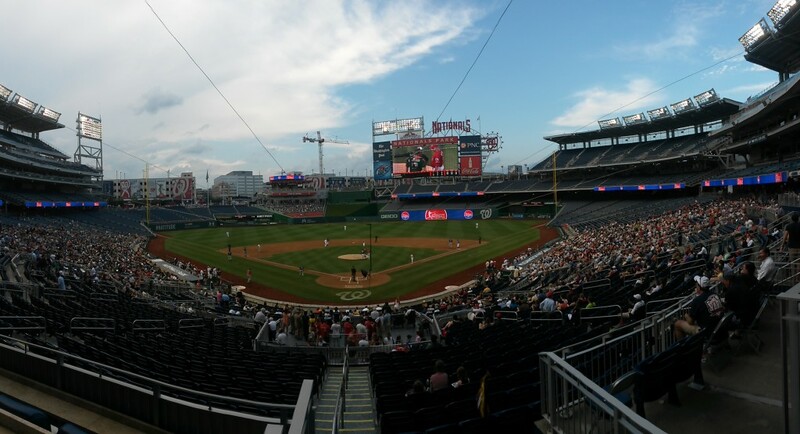 The Dems beat out the Republicans 15 – 6 last night at Nationals Park. Rep. Raul Ruiz (D-CA) and Rep. Kevin Brady (R-TX) were named the night’s MVPs. The game was called in the 7th inning just before rain poured down on the city. One common theme throughout the night were staffers donning t-shirts rooting for their Congressperson. The game was preceded by Roll Call’s annual “Taste of America” contest, a tournament-style food competition modeled after March Madness, in which Utah’s Cherry Cobbler won. The competition featured 64 foods with one entry per state and two entries for the larger states and the event featured food from the Top 8 finalists. Click through for our gallery, the night’s top Tweets, and Roll Call’s rundown.